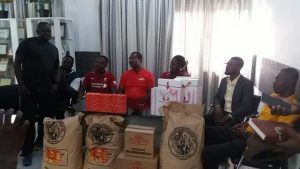 The Cocoa Processing Ghana has today [Wednesday] February 13, 2019, handed over assorted cocoa products to Liverpool supporters in Ghana for onward donation to the Children’s Hospital in Accra. The donation according to the company is to assist the supporters who have planned of donating some assorted items to the Children’s Hospital in Accra tomorrow [Thursday] February 14, 2019 [Valentines Day]. Marketing Manager of the Company, Nana Agyemang Ansong, in an interview said, the company was pleased when the supporters appealed for support for their upcoming donation exercise. He told journalists at the handing over ceremony that, cocoa products produced by the company are of high quality, one of the best in the world and contain high nutritional value for children. Mr Ansong said the Vals Day has also been set aside to mark Chocolate Day in Ghana hence the need to show love to the children so they will also celebrate the day. He was elated the Liverpool supporters took upon themselves to show the children at the hospital love on a day for love. 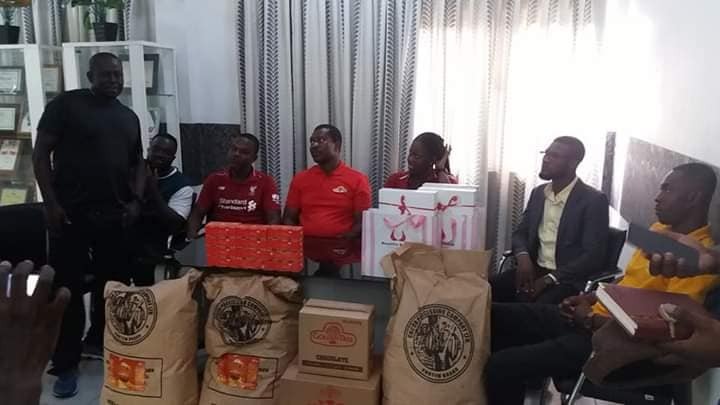 Leaders of Liverpool Supporters Ghana, expressed their gratitude to the company and promised to give the items to those it was meant for.